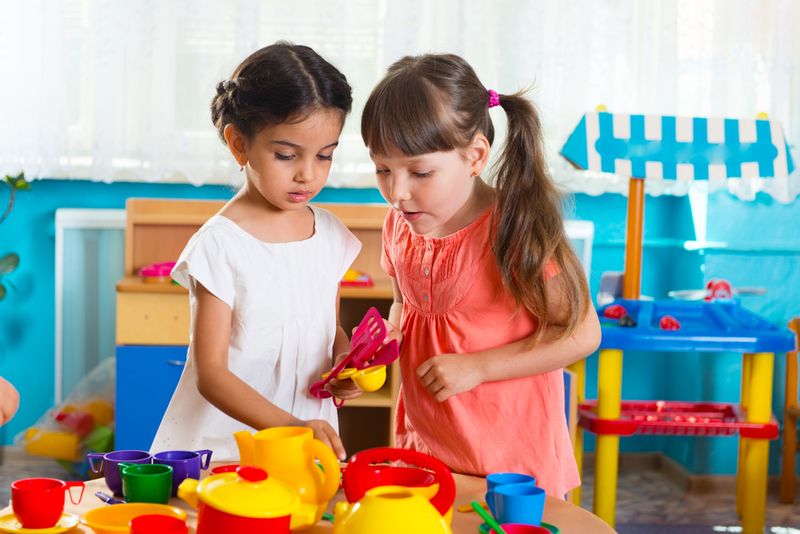 Learn why preschool is good for your child and what benefits it will get by being enrolled into quality preschool care. When you think of preschool, what do you envision? 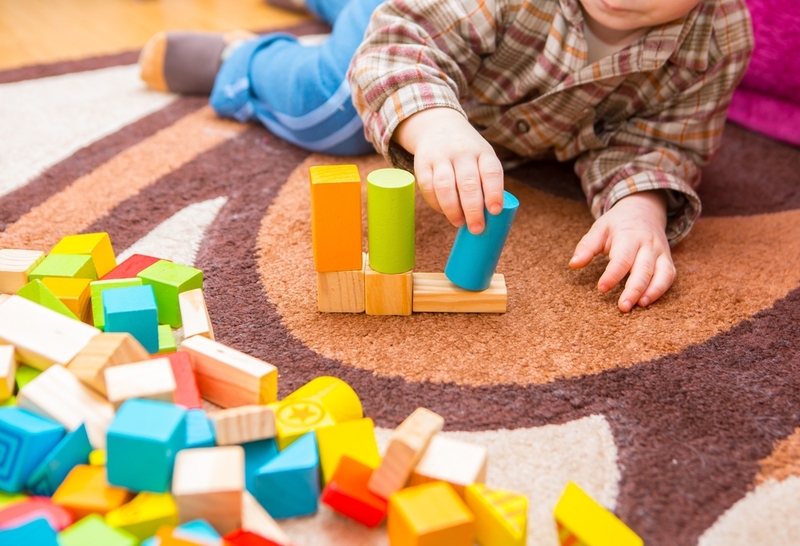 Are you afraid that your child is still too small to be placed in a structured environment? Does it scare you how they might cope with the separation? Well, don’t be. Preschool can only help your child. Children gain a lot from going to preschool because they become exposed to numbers, letters, and shapes there. But, more importantly, they develop social and emotional skills and learn how to get along with other children, to share and to contribute. Findings show that children who attend high-quality preschool enter schools with better pre-reading skills, richer vocabularies, and stronger basic math skills than those who do not. So why not insist on preschool education when it can only help; when preschool is good for your child? Know this: the 3-6-year olds are like little sponges at that age. They can take in so much; even more than you think. You as a parent should make use of this time to equip your little ones with the skills they need in their lives. Homeschooling your children at this age might give them a good academic head start (ONLY if you are educated in early childhood education to do so), but this type of schooling will fail to develop their social and emotional skills that are of an utmost importance for their future. And these skills get developed by child being around other children their age. 1. Preschool provides a foundation for learning, both socially and academically. Young children are naturally curious and observant. They want learn the skills that their families and society value — such as reading the instructions for assembling a toy, or selecting the correct bills or coins to pay for a purchase. To prepare children for the academic demands of school, teachers will offer a wide variety of games and activities that will help them acquire necessary academic but also social skills. 2. Preschool is an opportunity for kids to be in a structured setting. 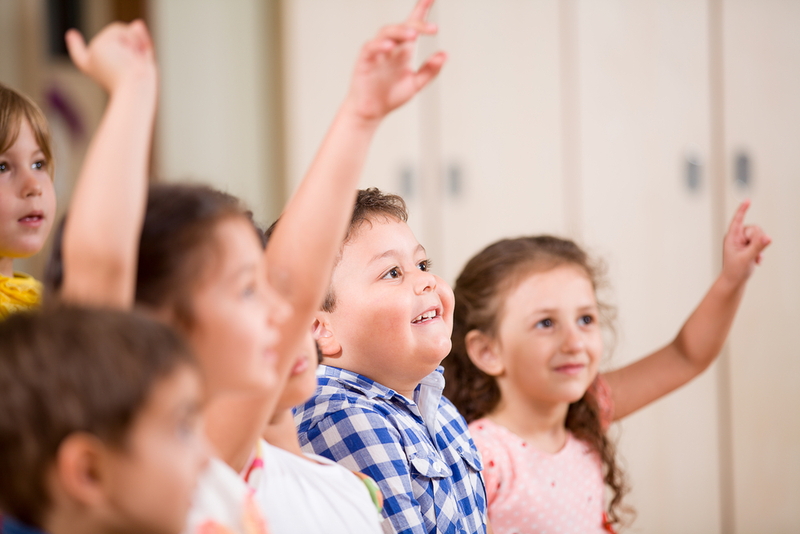 Preschool is an opportunity for them to be in a structured setting with teachers and groups of children where they will learn to share and follow instructions, raise their hand when they want to ask a question, take turns, and share the teacher’s attention. Every child should have this sort of group experience before they start school. 3. 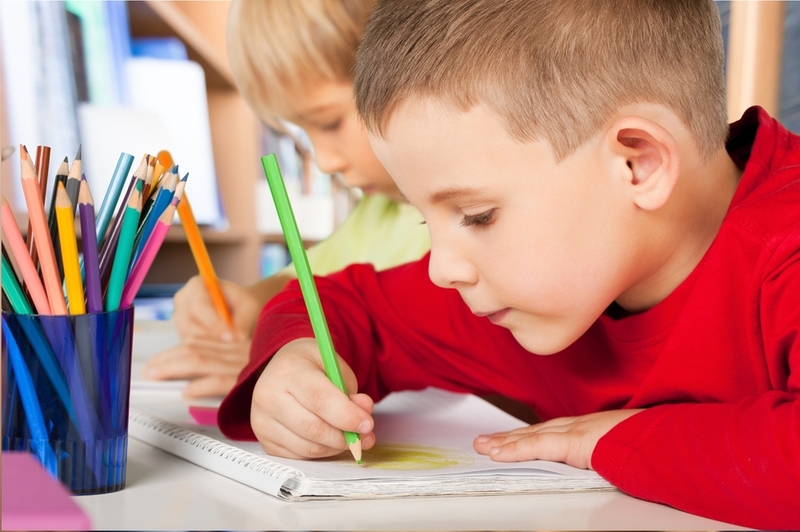 Preschool will prepare children for elementary school where things get more academic. Don’t be afraid that focus on development of pre-math and pre-literacy skills will make your child grow up too soon. These will not cut into important play time that every child deserves. A high-quality childhood education offers both. In fact, these programs are based on learning through play, so learning will be fun for your kid, have no doubt! 4. Preschool will help your child develop socially and emotionally. In preschool, your children will learn how to compromise, be respectful towards others, and solve problems. Preschool will provide a place where your child will gain a sense of self, explore, play with their peers, and build confidence. Kids in preschool usually discover that they are capable and that they can do things for themselves instead of always asking mommy to step in. They will learn wonders – from small tasks like pouring their own juice and helping set snack tables, to tackling bigger issues like making decisions on how to spend their free time. Isn’t that a great step for them? 5. 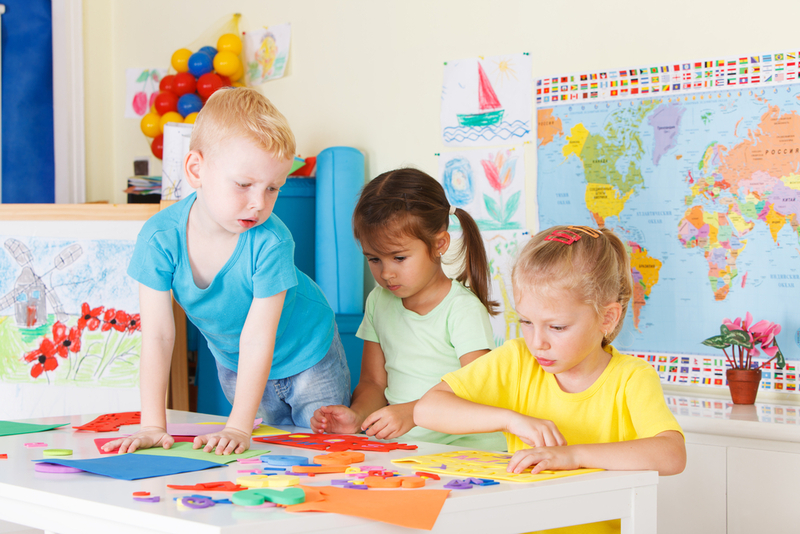 Preschool will help your children find answers to their numerous questions. The fact is that 4 and 5-year-olds will start asking some wonderful questions about the world around them, like “what happens to the water after the rain? Do birds play?” Even you as a parent might become confused when trying to answer some of their questions, but the preschool will make your job easier. It will teach your children to find answers through exploration, experimentation, and conversation. 6. They will learn their ABCs and 123s. Young children will learn letters and numbers in preschool, but at their own pace and through playing games. Preschool does not sit kids down and ‘teach’ them because that would be the wrong way to do it. Instead, they teach them through doing various kinds of activities your kids find interesting, like story-time, talking to the teachers about stars, playing with blocks, etc. For example, to help kids learn language and strengthen their pre-reading skills, teachers in preschool play rhyming games and let kids tell stories. To help kids learn pre-math skills, teachers will ask their little students to count food items during snack time, use calendar to count down days to their long awaited preschool play, or play memory games with them. Keep in mind that for small children preschool is all about having fun and acquiring social skills – not achieving academic milestones. Kids need to be imaginative and to socialize because that’s what fosters creative and well-rounded people; it’s not about whether they can read by age 4 or multiply by 5, although they might. And don’t forget: your child’s education does not stop once they come home from preschool. Oh, no! They will have bunch of stories to tell, and many questions to ask. When they are feeling down, sit down with your child and discuss the feelings and events that made them feel certain way: ask what happened over the course of their day and how they felt about what happened. Also, be sure to talk about future events: what they will do next and how they will act. Brainstorm problem-solving strategies with your child. For example: you can read interactive books with them, such as Twiggle the Turtle, where turtle Twiggle goes inside his shell when he gets upset, takes a deep breath, and then says what bothers him and how it makes him feel. You can model this problem-solving strategy with your child too. Encourage your child to use these tricks too to gain self-control (by crossing their arms instead of hitting impulsively, taking a breath to calm themselves down, and then using words to describe how they feel instead of crying). Practice the age-old advice: read, read, and read to your child, and have them read to you. Interactive reading is crucial to language development. Does your child attend preschool? What are your experiences? And if not, after reading this text, would you re-consider sending him/her to preschool? What Is The Purpose of Preschool? Preschool is a place where kids have all fun and at the same time they learn several new things. The environment for preschool is designed for teaching them and for development of their brain. Preschool gives that foundation to your children which prepares them for the future life, kids get to learn many things which as parents we cannot teach them such,I have a 2 yr old son and intiially even I was nervous as how will he adjust to the new surroundings at the preschool, but he managed really well and has become more socially active! Only you can know what kind of preschool is right for your child. The good news is that many programs, such as the Montessori Method, offer research and evidence supporting their techniques. Some of the nation’s top researchers who’ve spent their careers studying early childhood education recently got together in Washington with one goal in mind: to cut through the fog of studies and the endless debates over the benefits of preschool. I really like that you mentioned that preschool allows children the opportunity to learn at their own pace. My wife and I are thinking about placing our daughter in preschool, and I think it would be really good for her. Thanks for the information–I’ll be sure to share it with my wife. Great article, 100% agreed with you. Pre-schooling is a must in modern era. I personally have quite good experience with Nordic International School, each individual is properly attended by teacher and their staff. One of the best pre school in Pakistan. Wow, this article is impressively biased and provides absolutely no scientific evidence to back up its claims. Not one single study is cited to back up the author’s personal opinion. After wasting my time reading that, I still see no reason my child needs preschool. She is 2 1/2 and already knows her alphabet, her numbers, shapes, colors, etc. 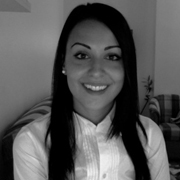 She is in numerous playgroups where she is able to work on social skills with peers of her own age. I suppose preschool would be preferable to daycare, but there is absolutely no reason for it with an involved stay-at-home parent. People, take responsibility for raising your own children. I agreed pre school is good for our childs these days because they can develop their young mind in this age only. My kid use to go in a pre school in surat, where he is learning a lot as well as i can see him a little bit more confident in public. It’s true that children gain a lot in going to preschools and can learn different subject including shapes, letters, numbers, etc. Thanks for educating your readers about the benefits of sending your child to preschool. My sister’s daughter is 3 years old and very excited to go to school. I will advise my sister about its benefits so that she will be encouraged to send her daughter to preschool. Nice post and thanks for sharing idea of preschool with us. I agreed these days because they can develop their young mind in this age only.